Anderson Dovilas was born in Port-au-Prince, Haiti, July 02, 1985. This young author has published in France, In the US, and in Canada. He has attended the State University of Haiti where he studied Linguistic and a minor in Ethnology. He is a Poet-activist, a cultural Journalist, a playwright, and an actor. Dovilas, has participated, collaborated, and organized several cultural events; and often organized street performances to rein-act the history of his battered country, to create social activities, to educate and entertain. He is one of the Directors of the Haitian American Art Network, Inc., he is one of the founding members of the student association (CEM). Co-Founder and advisor of Parole En Archipel a daily online magazine publish in three languages. He is a member of the Aterlier Creation Marcel Gilbert of the Library “Justin L’Herisson”, and Founder of the Societe des Poetes Creolophones. 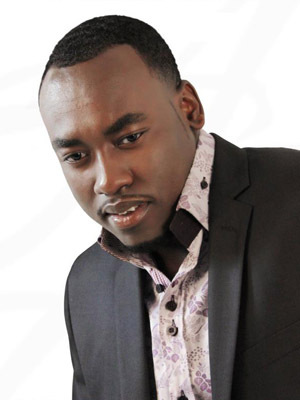 He is currently the host of “Focus” on Tele Anacaona. He has published eight books, three in Haitian Creole, four in French, and one in English. His texts appeared in several newspapers and magazines in the Caribbean, in the US, and specifically in Haiti and in Europe.